If you are an ambitious exercise professional with a proven track record of teaching and assessing fitness industry qualifications, we’re keen to hear from you. To deliver an outstanding training experience we understand that we need extraordinary people. If you go above and beyond in your delivery, and you have a strong background in personal training, teaching and assessing at level 3 or above, you might just be what we’re looking for. We’re especially keen to hear from applicants that have a strong background in exercise referral, obesity, diabetes, lower back pain, functional training, kettlebells and/or suspension training. 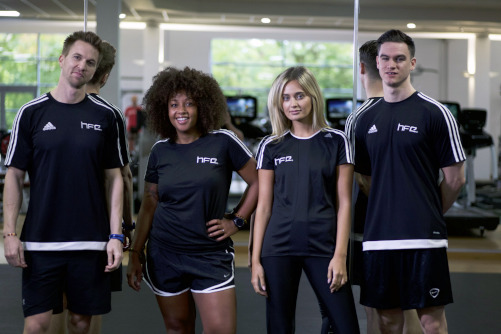 Our group exercise qualifications are among the most successful in the fitness industry – they’re also rapidly expanding. To cope with this demand, we need a number of energetic and enthusiastic group exercise professionals that are firmly committed to delivering an outstanding level of training and service to our students. We’re especially keen to hear from those with experience and qualification in both Pilates and Yoga. Applicants must possess the relevant teaching and/or assessing qualifications (PTTLS, DTTLS, CertEd, PGCE etc…and A1 respectively) or be prepared to achieve these within 6 months of commencement. Finally, applicants will be required to travel from time to time, and be prepared to work weekends, which is when most of our courses are delivered. The covering letter should outline specifically why you are suited to the position and how you will add value to the service HFE provides to its customers.